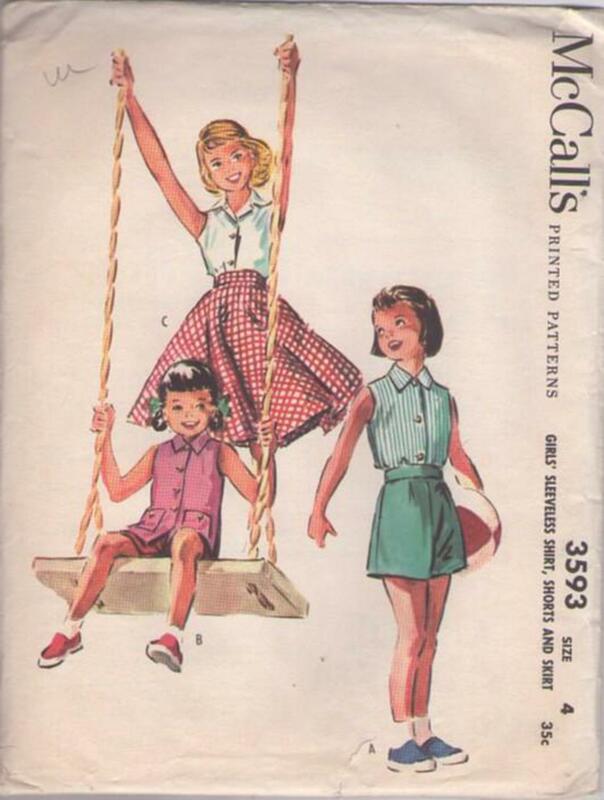 1956, 50s Children, Retro Separates Clothing Patterns - Girls' Sleeveless Shirt, Shorts and Skirt Front button shirt with collar and optional patch pockets. Shorts have a neck type zipper for side opening. Skirt has a neck type zipper for side opening and if full/flared.